"Thankful" is the first extended play by New Kids on the Block, released on May 12, 2017. New Kids on the Block are living it up during its surprising second act. The New Kids aren’t so new anymore. Each of the former boy band pinups is – (gasp) middle-aged. “Eventually, if you’re lucky, you grow up,” Donnie Wahlberg said. Wahlberg, 47, the vocalist-actor and brother of ubiquitous thespian Mark Wahlberg, has impressed audiences as he has aged. CBS has renewed “Blue Bloods," the series he stars in with Tom Selleck, for an eighth season. Donnie Wahlberg is the executive producer of the TNT reality series “Boston’s Finest.” The Beantown native is also married to perky actress/radio personality Jenny McCarthy. What might be most amazing about Wahlberg and his New Kids on the Block mates, Jordan Knight, Jonathan Knight, Joey McIntyre and Danny Wood is that the act is headlining arenas once again. The only other pop act which hit such rarified heights during the Reagan era and is living a glorious second act is Jon Bon Jovi. “I never would have guessed it,” Wahlberg said. Sure, there were boy bands before New Kids on the Block, but the rough around the edges entertainers from South Boston took teen idol worship to another level during their salad days. “I remember what it was like back then,” Wahlberg said. Fans would do whatever they could to get into our limos or our hotel rooms. Fans took some crazy risks." The group was assembled by boy band svengali Maurice Starr during the mid-80s. The charismatic teens pierced the hearts of young ladies courtesy of its perky synth-driven pop. “All we wanted to do was be part of a group,” Wahlberg said. But Wahlberg has plenty of fans still today. He remains a pop and television sensation, co-owns the Wahlburgers chain of restaurants, and is the father of two sons. “We have nothing to complain about,” Wahlberg said. 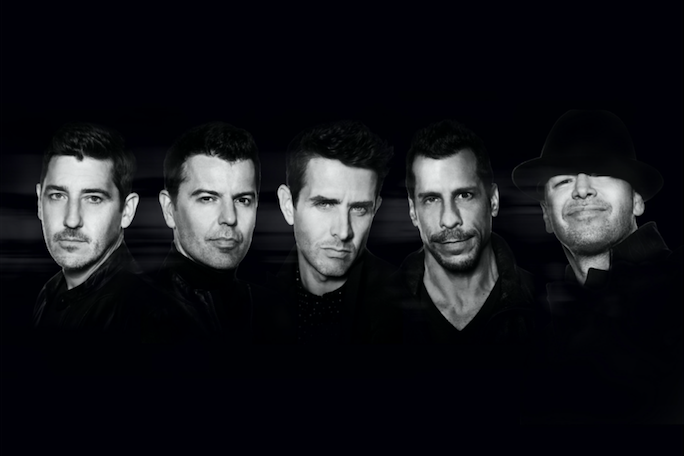 New Kids on the Block appear Saturday at the Wells Fargo Center, 3601 S. Broad St., Philadelphia. Tickets are $29.95, $34.95, $49.95, $69.95, $89.95, $119.95 and $249.95. Show time is 7:30 p.m. Call 215-336-3600 for more information or click here.